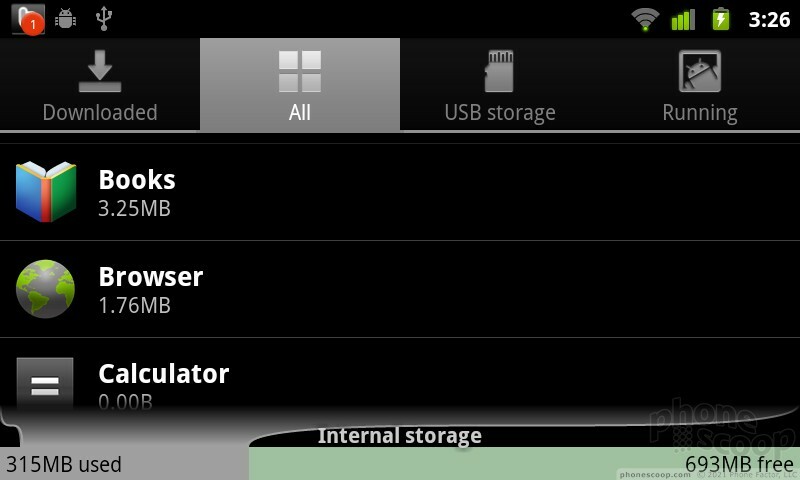 The Samsung Nexus S uses an unadulterated version of the Android 2.3, or Gingerbread system. Most Android phones on the market today are tweaked by the carriers or manufacturers. On Samsung's Galaxy S phones, for instance, you get a slightly different app menu design, a different look to the shortcut buttons on the homescreen panels, and some changes throughout the core phone features like the dialer and the address book. For the most part, I think these changes are a matter of taste, though at their worst manufacturer changes can slow down a phone or cause performance problems, as I saw on the Samsung Transform, with its Sprint ID interface, which caused some sluggishness and shorter battery life. That said, I don't think manufacturer tweaks are inherently a bad thing. 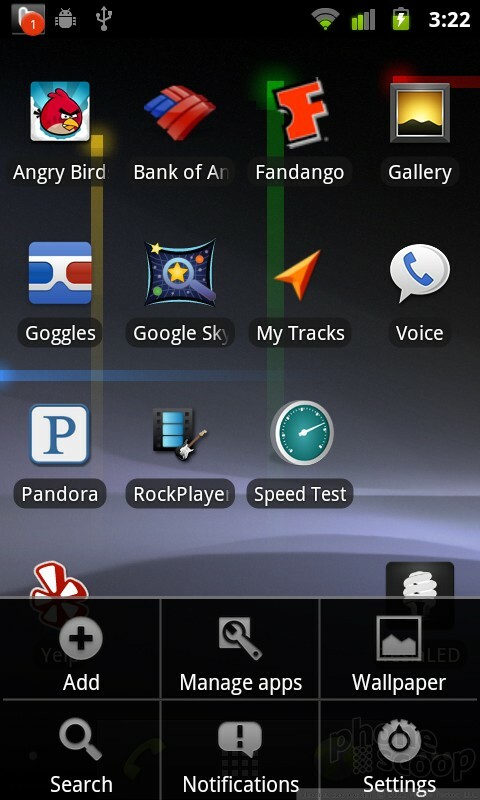 Motorola's Motoblur interface on phones like the Droid 2 and Droid X, for instance, offers a great selection of customizable widgets and some deeply integrated social networking features. HTC's Sense design, on phones like the Droid Incredible and the HTC Evo 4G, offers a very slick interface design and some dramatic improvements to the contact list, again integrating social networking features deep into the system. Neither of these bog down their respective phones and both interface designs offer plenty of benefits that you won't find anywhere else. So why go with a pure Google experience? 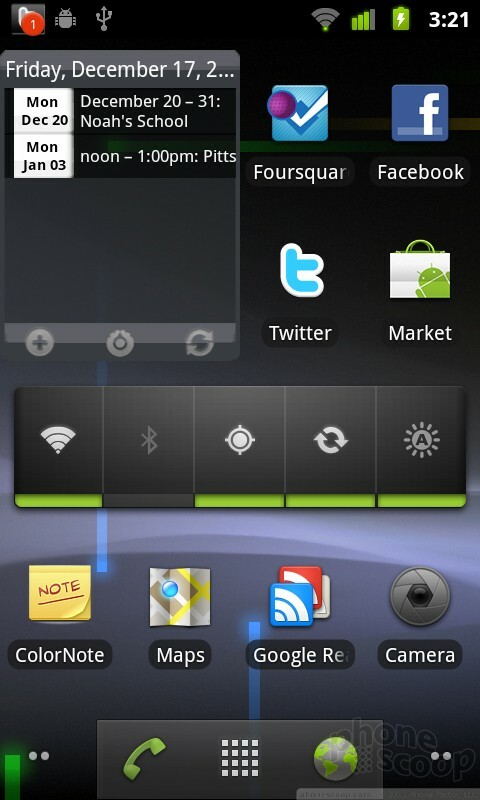 First, Google has updated Android multiple times this past year, and those updates always came to the Nexus One first. Presumably, the Nexus S will also be updated early, which is especially enticing since the next version of Android, the rumored Honeycomb system, could feature the most significant interface enhancements in some time. The more a manufacturer tweaks the Android system, the more work it has to do to update that system to the new Android OS version, and the longer those updates take to roll out, with no guarantees that most Android phones will ever see the newest updates. Second, some of the most interesting enhancements available for the Nexus One came in customized ROMs, system software packages created by user communities, and not the manufacturers. Unlocking the phone to use those ROMs is not for amateurs or the faint of heart, and it will void your warranty, though HTC had no problem replacing multiple defective Nexus One phones I owned when the problem had to do with hardware and not system software. There is a vibrant developer community working on ROMs from Cyanogen or MoDaCo that add very slick and highly customizable features to Android phones, and the Nexus phones are the easiest Android devices to unlock and customize. In this way, these phones seem to be designed and sold with developers in mind more than average consumers. That said, I had a couple significant issues with the Samsung Nexus S. For one thing, the Gingerbread system update is a disappointment. Sure, there are plenty of tiny visual refinements and interesting flourishes. But in many ways Google is still leaving key features in the hands of third party developers, which keeps the system from competing head-to-head with the likes of Apple's iPhone. While Google makes minor improvements to the software keyboard and the notification shade, the Android music player has gone unchanged in more than 2 years, and there is still no standalone video player app. The camera software is basic. The settings menus are still a maze of white text on a black background. Some of the best hardware features are still unsupported by the system software. The Nexus S has a front-facing camera for video chat, but there are no video chat options preloaded, and the software on the market, like Tango Video Chat or Qik, is buggy and unreliable. 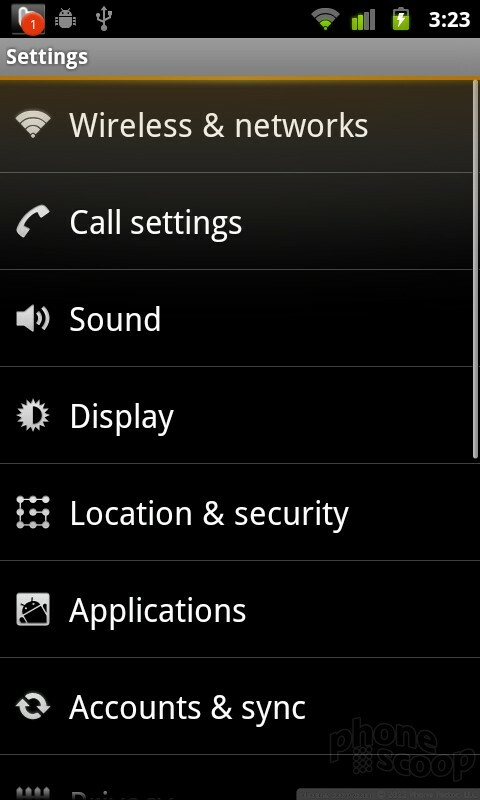 The Nexus S features built-in near-field communications (NFC) hardware, but there are few ways to use NFC in the real world. NFC payment options from major credit card companies and banks are still in early trial stages, casting doubt on whether Nexus S buyers will have that option any time soon. 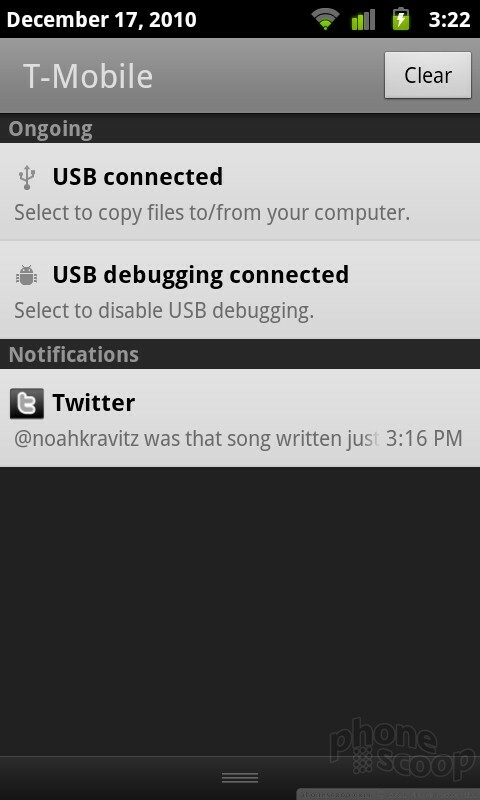 My second issue with the Nexus S is that the phone just seemed buggy all around. Besides the freezing homescreen issue I mentioned, I had numerous app crashes every day through my testing period. In fact, as soon as I signed into my Google account for the first time, the phone started downloading all of my apps from the app market, and this caused repeated crashes. This does not instill confidence. In two days of nonstop testing, I probably had to Force Close apps a dozen times. That's embarrassing for a flagship device that is running the most pure version of Google's OS.